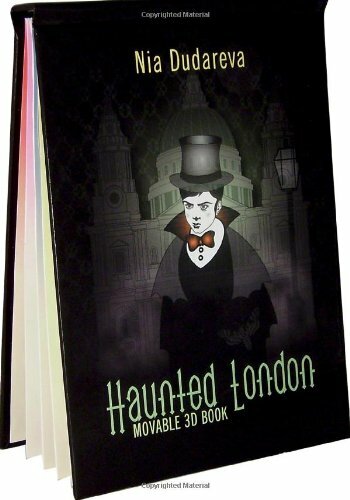 Synopsis: Haunted London movable book is the only pop-up book on London ghosts. It comprises 5 animated pop-up scenes of historic London with stylish contemporary artwork and printed on top quality paper. It is designed and published independently by the artist, who has awards in paper engineering and illustration. This book is for kids and adults interested in paper engineering art and London ghost stories. London is the most haunted city in the world. This 3D movable book literally brings to life some of its more prominent ghostly inhabitants. Get acquainted with the poignant Royals in the Tower of London and Kensington Palace; discover what holy ghost is allowed to haunt St. Paul's Cathedral, find out where the most haunted house in the capital is, and who is King in Highgate city of the dead.